At Box Hill Golf Club, we are lucky to have Certified PGA Golf Professionals on hand. They provide insightful lessons and advice to improve your game and advise you at our Pro Shop, so you’ll find the right equipment that perfectly suits your needs. Meet our professional and friendly golf staff at box hill golf club. Heath was awarded the 2017/18 Victorian PGA Club Professional of the year award at the Victorian golf industry awards dinner. The award is based on professional / golf shop experience including member and guest services, game development and community engagement, club interaction and promotion of golf and personal continuing education. He began his career as a touring professional travelling and playing around Australia and in the United States of America. 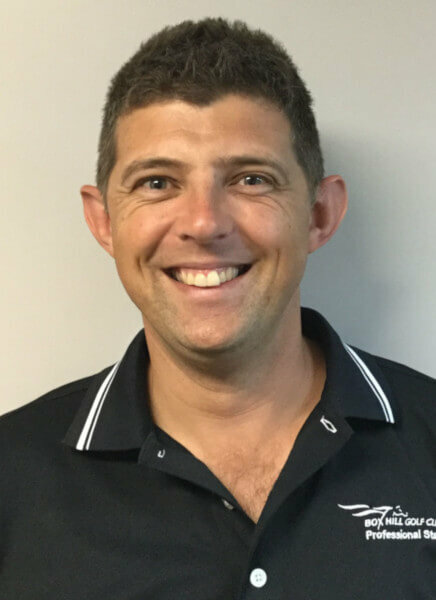 As the Director of Golf at Box Hill Golf Club, Heath manages the day to day operations of the Golf Shop, membership recruitment and retention as well as tournaments and corporate golf days. Being a Certified PGA Professional, he enjoys watching his students’ progress into golfers who improve their game. With a very simple teaching model, he is very easy to understand and finds simplicity a key to helping players make quick improvement. Heath is also a qualified club fitter with the ability to help people understand how correct equipment can make a huge impact on their game. Book some time with Heath and have your clubs evaluated, have a lesson or an on course playing lesson, you will see improvements instantly. James first picked up a club at the age of 7 and by 8 was hooked. Within another year he was a member of his local club and playing for his county from 12 through to 18 when he went off to university. He was a member of the Southampton University team that made the national semi-finals in 1997. 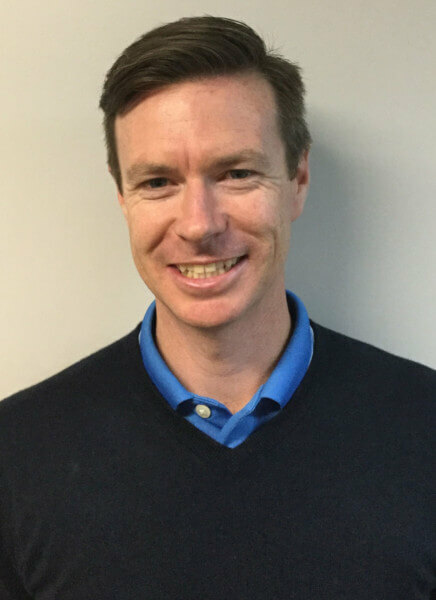 James worked in finance for a number of years before deciding to train as a British PGA golf coach. As an assistant, he trained under some of the best coaches in the United Kingdom at Worplesdon Golf Club, learning from differing styles and approaches to coaching. From here he moved to Mount Pleasant Golf Club and was soon appointed as Head Professional after completing the PGA qualification where he remained until moving to Australia. James’ focus is on coaching, whether with the juniors, ladies or men, and enjoys the diversity of challenges that each pupil brings to him. His coaching ethos is to be honest, realistic and keeping it simple. He tries to ensure that each player goes away from each lesson understanding what they need to do to improve, as well as why. With a greater understanding of his clients, he aims to make sure that all players enjoy the game of golf as much as possible. He is also a qualified club-fitter and believes that having the correct equipment is essential to making the most of your game. Originally from New Zealand, Jess played junior and district golf for her home club, Huapai, before moving to Melbourne to pursue a career in golf. 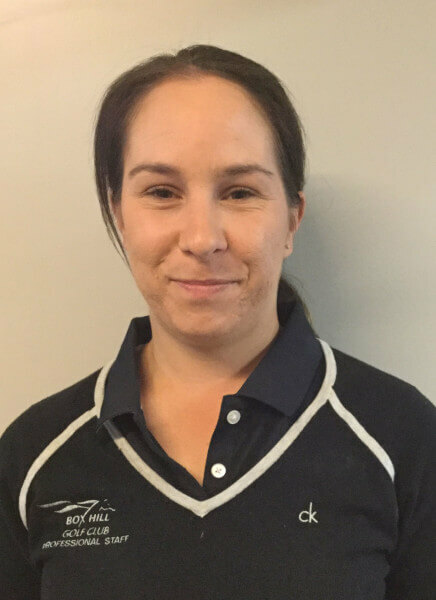 A keen golfer for 18 years, Jess joined the Box Hill Golf Club staff in 2014, and then joined the PGA of Australia as a Certified Member in 2017 after successfully completing her traineeship. Holding an ACE accreditation of Advanced in Coaching has certified Jess with the expertise to coach golfers of all abilities. Jess enjoys coaching all players and takes pride in coaching people to improve their ability and achieve their goals – however big or small they may seem. Jess can also provide feedback on equipment and can also provide club fitting services. A background in primary school teaching allows Jess to frequently host junior golf programs with ease, that range in ability from raw beginners those playing for handicaps. Jess’ focus on golf for kids is to make the game fun, and to allow kids to learn though playing games and activities to build on knowledge of the game and skill. Jess also organises a variety of ladies golf clinics that range from ½ day coaching sessions to one hour specialty clinics for specific areas of the game ladies wish to work on. Jess has a deep passion for golf and believes it is a game for everyone who wishes to learn. Peter has been with us for 11 years and is a fixture in the shop as most know him for his manicured moustache. Peter works part time and handles all day to day enquiries for members and guests as well as assisting new members to the club, helping them through the first few weeks of their membership. 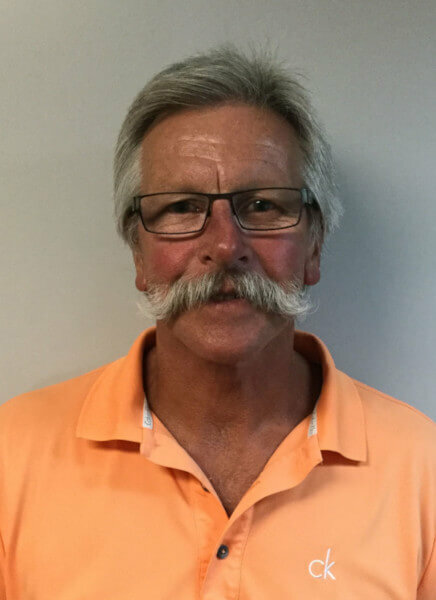 If you are new to Box Hill Golf Club, please make some time to talk to Peter and he will help you meet our friendly members and introduce you to all the great things Box Hill Golf Club has to offer.